As I handcrafted this piece I could see the strength and faith shine through. It is stunning but not overwhelming. This is one of my one-of-a-kind designs that I will never create another of so the wearer knows that this piece is as unique as the wearer. 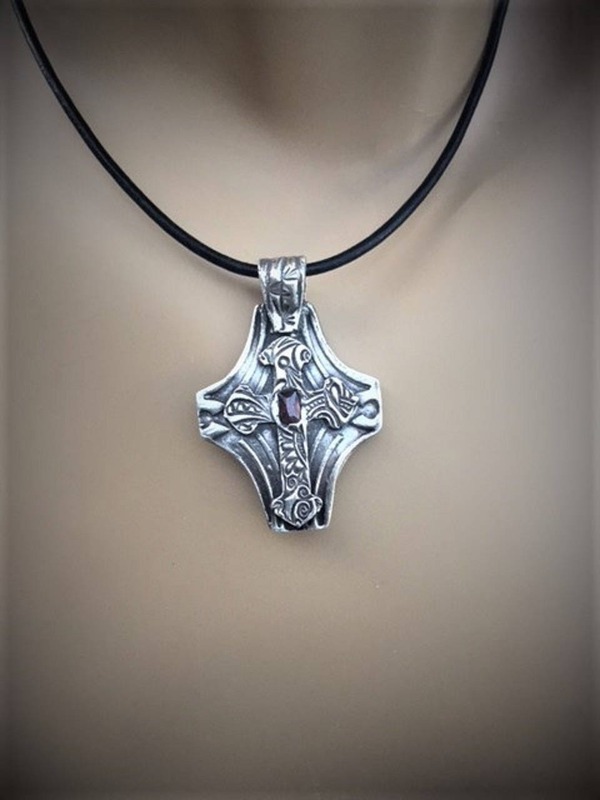 This amazing pendant would work equally for men or women and also as a gift for Baptism or Confirmation or any special religious holiday. 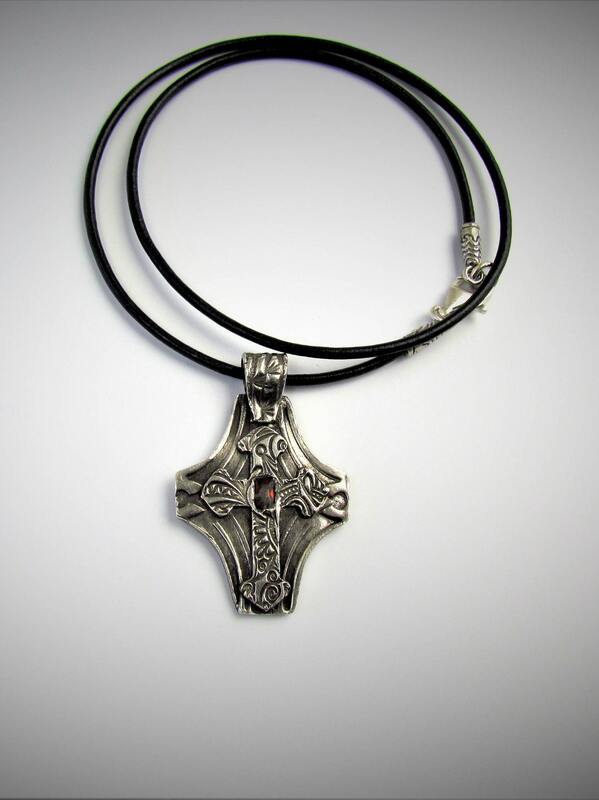 If purchased for a man, it comes with both a masculine 925 Sterling Silver chain as well as a leather cord with sterling silver clasp. 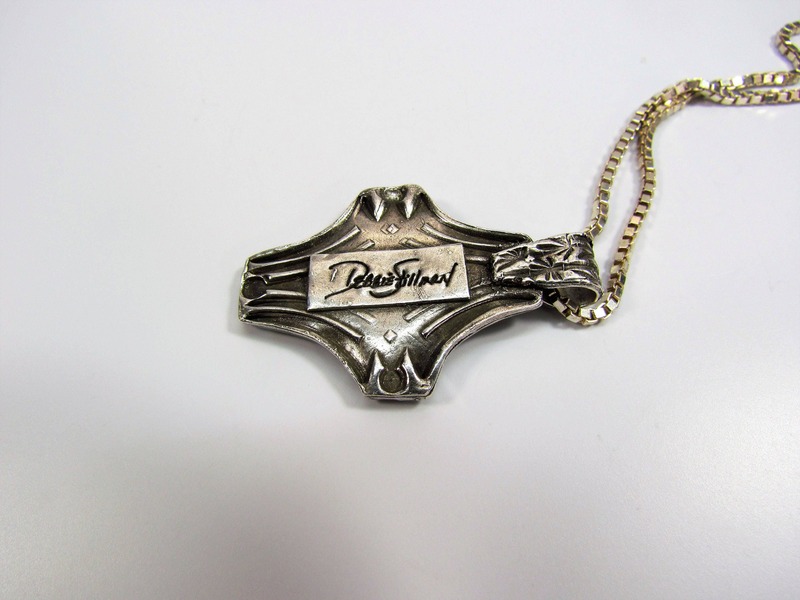 If purchased for a woman, this gorgeous pendant will come with both a feminine 925 Sterling Silver chain and a leather cord with sterling silver clasp. I include the leather cord for either the man or woman at no additional charge. I also offer chains and the leather cords in varying lengths so be sure and select which one you prefer. 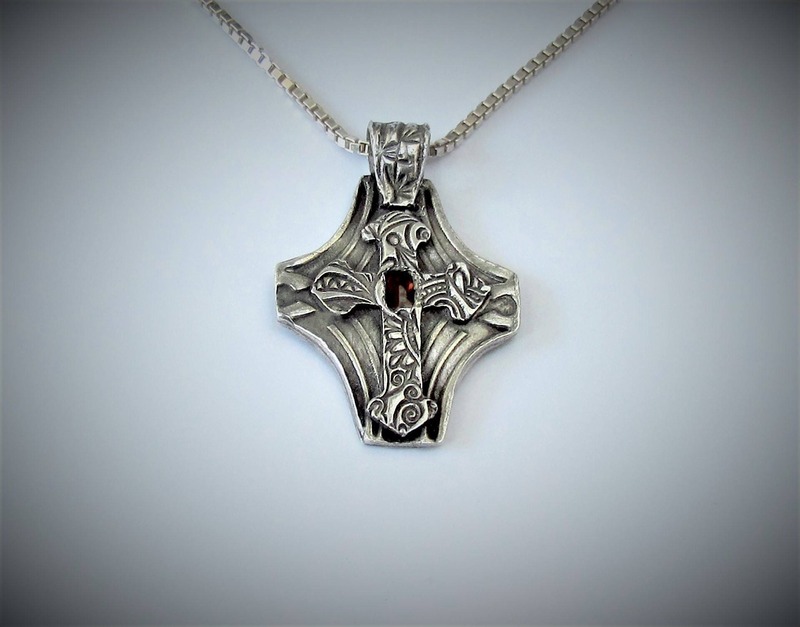 Using a blend of 925 Sterling Silver and 999 Fine Silver I hand sculpted and carved this lovely 3-D pendant featuring a beautiful Cross on top of a Cross. The last picture in the series shows the back where I sign my pieces.